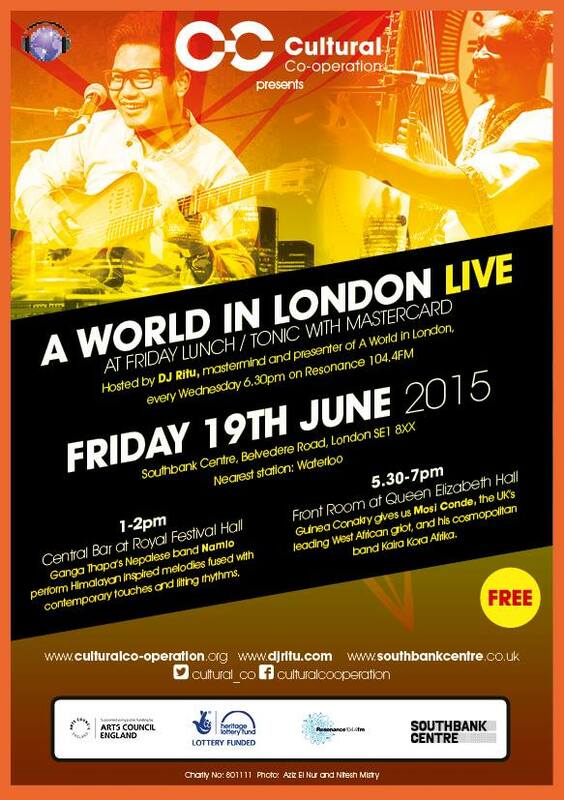 Join CC and DJ Ritu as we take A World in London: Live to the Southbank Centre for their Friday Lunch & Tonic Series with Mastercard as part of Refugee Week. Enjoy the tranquil sounds of Ganga Thapa’s Nepalese band Namlo. Himalayan foothills & mountains inspire the poetic lyrics and melodies, woven together by a cross-cultural musical soundscape with influences from West Africa to South America.